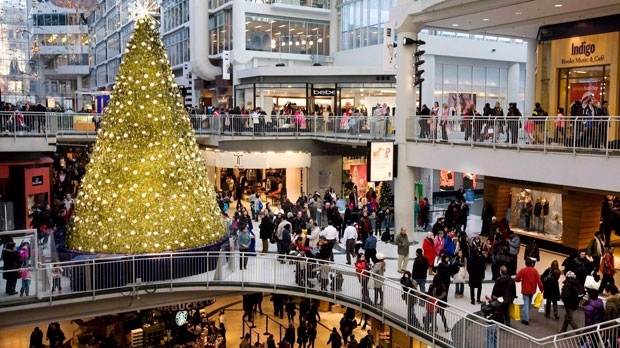 Toronto’s Christmas holidays will soon kick-start this November 14th as Toronto Eaton Centre showcases a two-part fashion show. This fashion show, which will be curated by FLARE Magazine, starts it first half around noontime, featuring models from Elite surrounding Toronto Eaton Centre’s fifty-foot Christmas tree at Centre Court. The second half will start at 6 p.m. and will feature designs from the Remix Project’s graduate students showcasing their own spin on holiday fashion as a DJ plays requested Christmas carols through social media. In the holiday spirit of giving, the clothing from the evening and a $250 Cadillac Fairview SHOP! CARD® will be donated to Dress for Success.